My first “real” job post college graduation was in retail management. If there’s any place that desperately needs keystone habits and clearly defined systems and routines, it’s a retail establishment with primarily low-wage and high turnover employees. 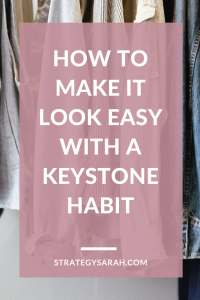 In my year and a half there, I worked in three stores, and the single biggest thing I learned was the importance of having a keystone habit. Store #2 was my first official placement and was a store known for having many challenges. Geographically, it was the farthest away from the rest of the stores in the district. All of the other stores were within a two hour radius, and this store was four hours away in a relatively small town. This meant the store historically had lower turnover and drew management from local folks who rose up in the ranks. When I arrived, I was one of three brand-new assistant managers. 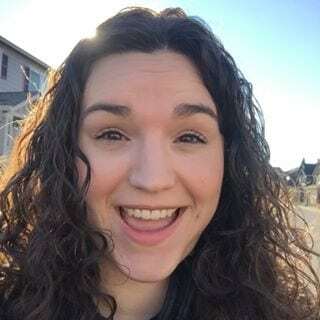 One was a freshly promoted local gal who had started out as a part-time sales associate. Another had just completed the trainee program with me. The employees in this store were some of the hardest working people I’ve ever met. Yet for some reason, the store always struggled and just never gelled. You know when something feels like it’s so.much.harder than it should be? That was this store to an extreme. Our lead store manager was big on rah-rah initiatives and rallying the troops. We cheered, we struggled, we cajoled, we struggled, we came up with elaborate incentive programs, we struggled. There were truck unloading initiatives and customer response time initiatives and special snacks and presentations when district leadership had planned visits. We gave employees leeway to figure out how to creatively solve their problems and ended up with multiple half-baked executions that took a whole lot of focus and energy. I knew it was harder than it needed to be, but didn’t have the experience or insight to understand why until I left there and landed in Store #3. Store #3 was the polar opposite Store #2. It ran like a well oiled machine. In retail terms, recovery is straightening, organizing and generally getting the store ready for customers. This includes hanging items on the proper fixtures, facing the correct way, and evenly spaced. Rapid recovery is a very quick first pass through to get things good enough. When doing rapid recovery, ensuring alike products are on the same rack and facing the right direction is the goal. When doing detailed recovery, the goal is to make the racks look perfect, in size order, including finger-spacing hangers so the product is perfectly, evenly spaced on the rack. The reality in a low-budget store is that man-hours are scarce. For many hours of the day, there may be only one person responsible for an entire department, and that includes manning the cash register along with keeping the entire area neat and put together. If you weren’t actively with a customer, you were recovering. Recovery had a flow: Rapid recover the first three fixtures back from the aisle, then a very quick sweep of remaining rows to ensure there was nothing on the floor, hangers sticking wildly out of placer or other glaring errors. Once basic recovery was done, a team member could go back through their department with a focus on detailed recovery. And even if the team was busy enough that they didn’t get to detailed recovery, the store was still generally put together and in order. Everyone in the store was clear exactly what their priorities were at all times. When someone had a minute of downtime, they didn’t need to find a manager and ask what to work on. They already knew. There weren’t elaborate planning meetings for “what are we going to focus on this month?” It was recovery, recovery, recovery. 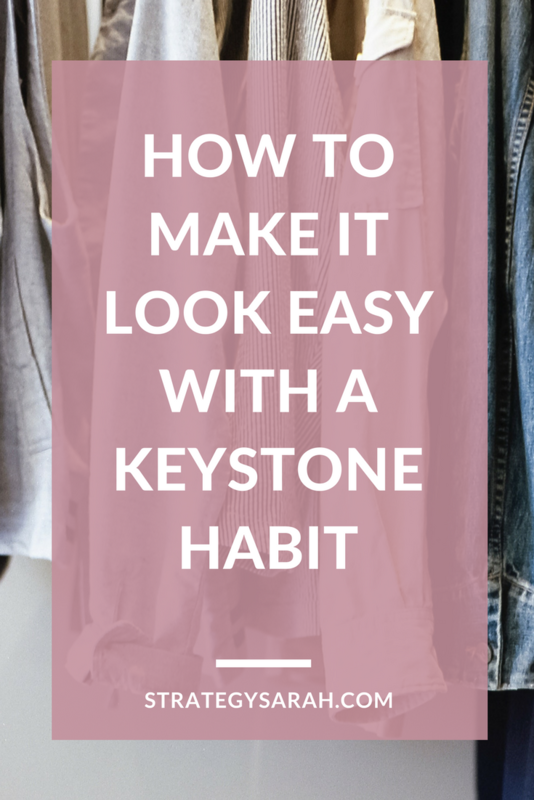 Recovery was the keystone habit that enabled everything else in the store to function properly. Trucks could be unloaded and new product moved to the floor with ease because there was general order everywhere and truck teams didn’t need to straighten as they went. Breaks and time off could be covered easily without elaborate handover plans made. A whole lot less communication was needed, because everyone followed the same habit to achieve the goal of a well-run store. The obsession with recovery was a single-minded focus ingrained as habit. This habit freed up literal time and brain space to be proactive and get ahead rather than constantly coming from behind. If you don’t already have a single-minded focus, what is one habit you can put in place as a keystone to unlock your potential?